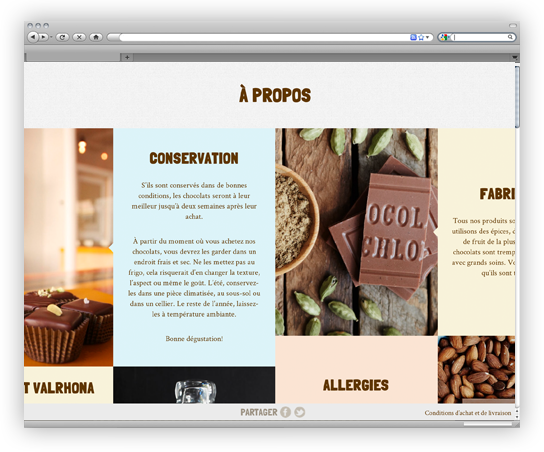 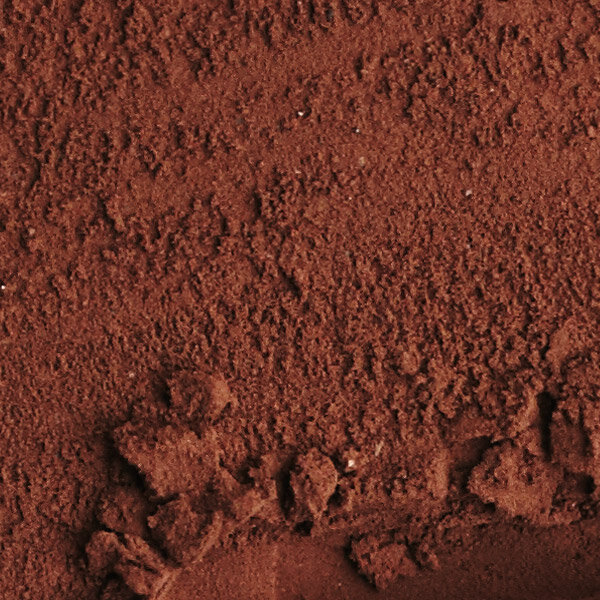 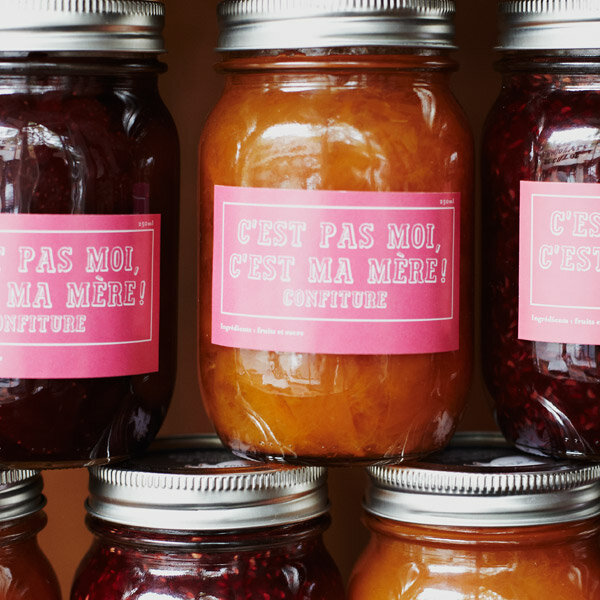 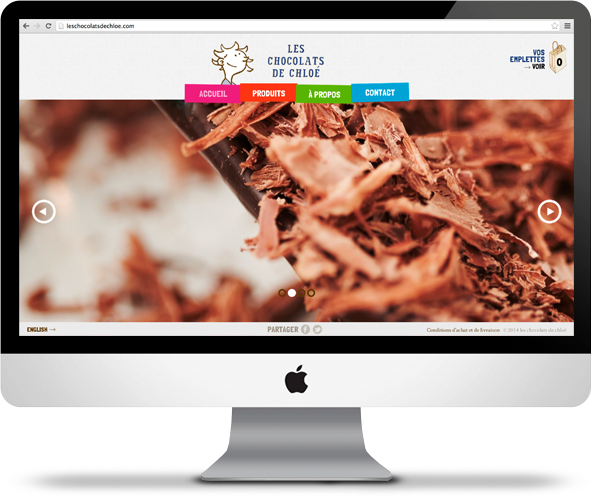 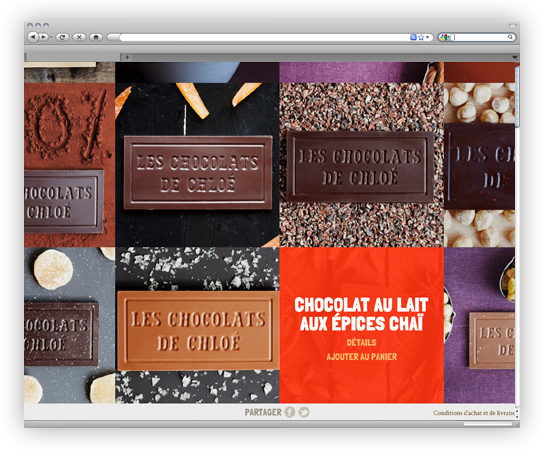 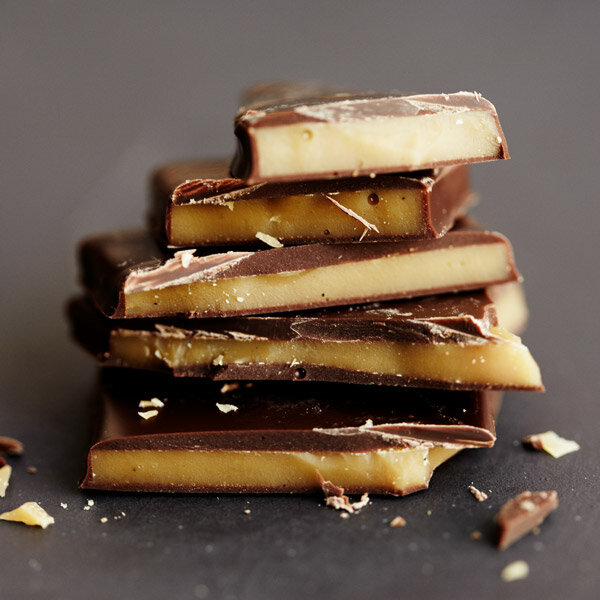 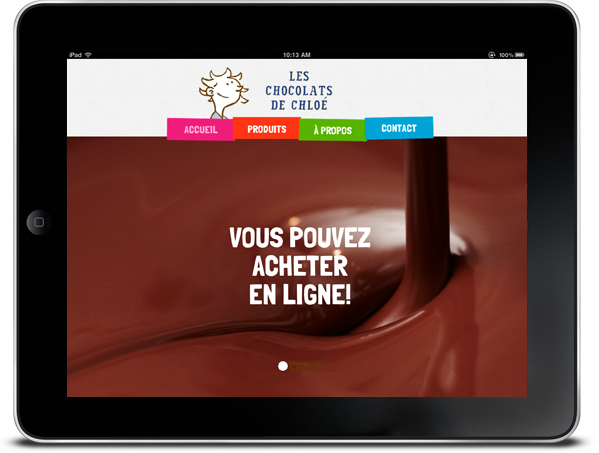 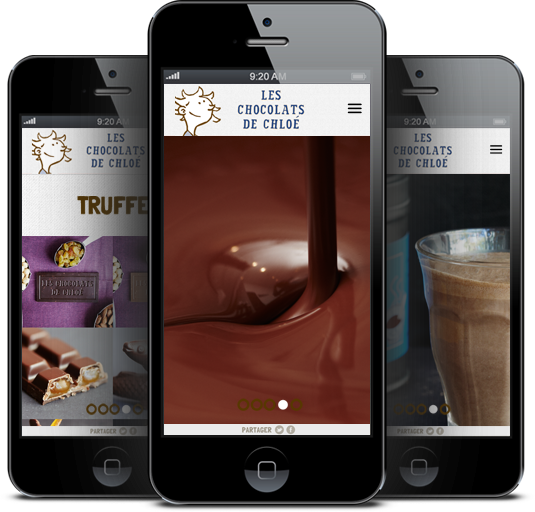 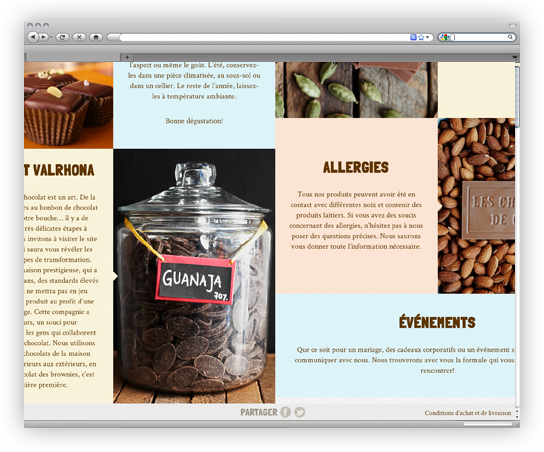 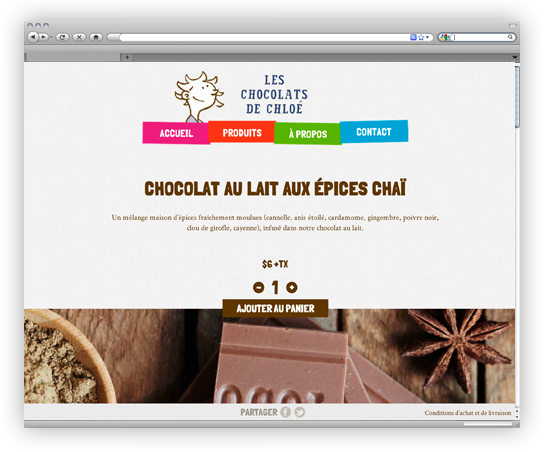 Online boutique for a small and passionate chocolate maker artisan located in Montreal, CAN. 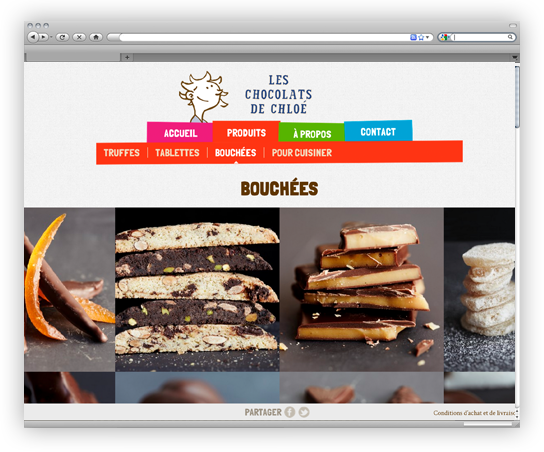 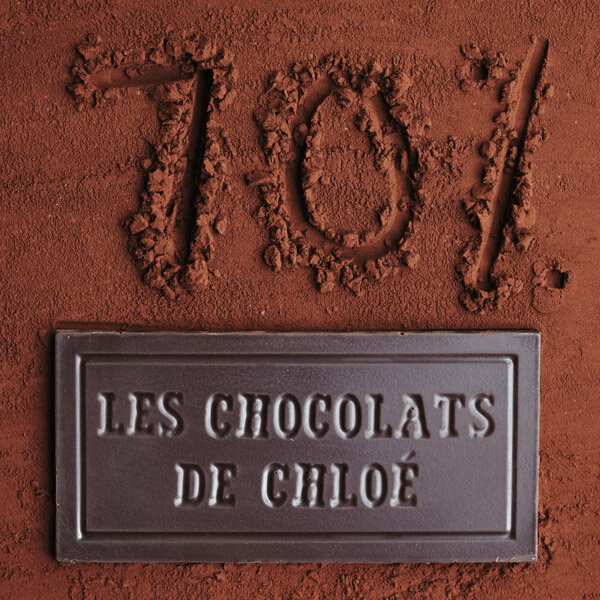 Very simple and straightforward online boutique for the nicest chocolate maker I have ever met. 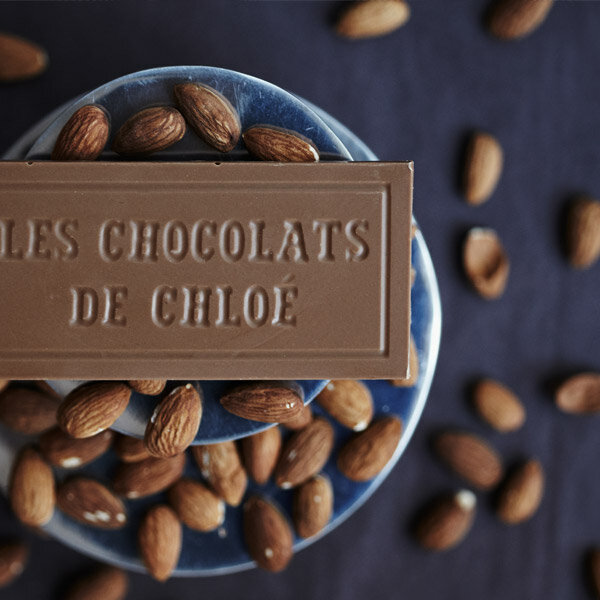 Indeed, Chloe is a very talented and welcoming person who lives for chocolate. 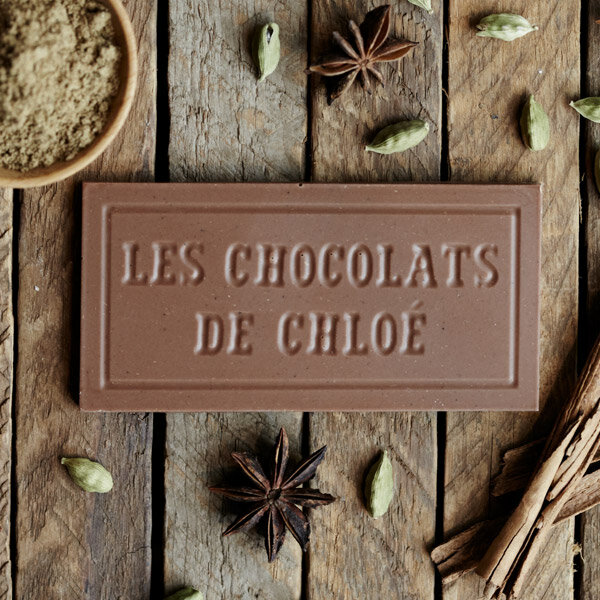 Right when you open the door of her small and colorful boutique located in one of the most trendy streets of Montreal, the first thing you notice is the amazing smell of home-made chocolate. 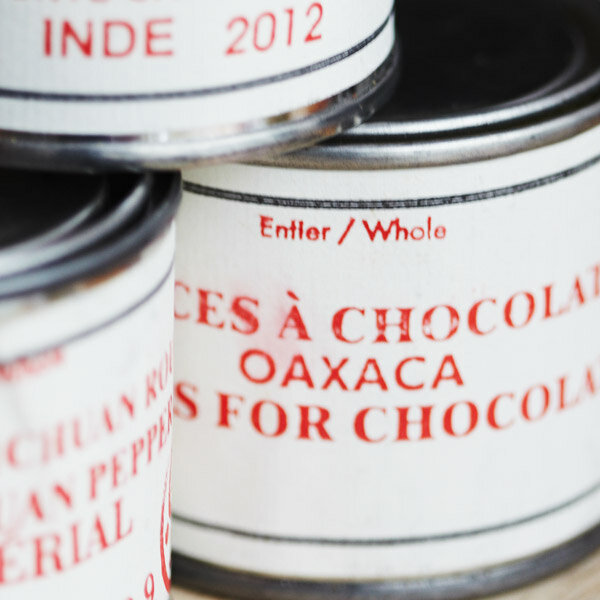 The preparation is made just a couple feet behind the counters at any moment of the day. 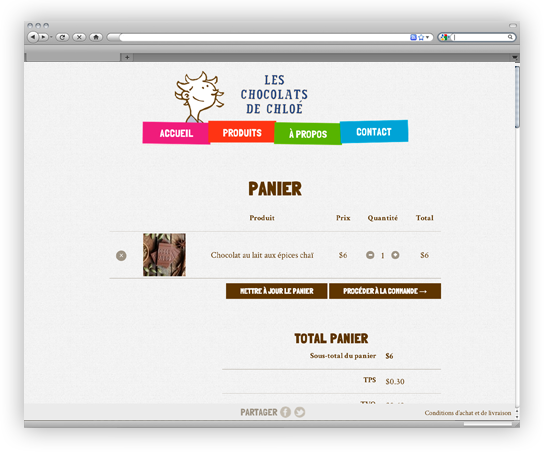 - Make the buying process as simple and intuitive as possible for users.